Hasmukh P Rama, Chairman of AURO Hotels, Greenville (SC,USA). Shri Rama holds a Master of Business Administration degree from St. Xavier University, USA and was awarded the degree of Hospitality Management, Honorary Doctorate Degree by the Johnson & Wales University USA. H.P. Rama has been in the lodging industry for almost four decades, beginning with a 40 Room independent property in Pomona, California. Today, JHM owns and operates 42 hotels in USA and India under Marriott, Hyatt, Hilton, Westin, Sheraton and Taj. 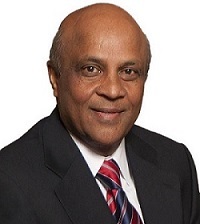 Mr. Rama has served as a Board of Advisor to many hospitality schools including Johnson & Wales University - New York University, University of Houston, University of South Carolina and California Polytechnic University. Also, Executive Professor in Residence Cornell University Hotel School and Visiting Professor at Penn State University and Michigan State University. He is the Founder and President of AURO University, Surat, India. Educator and writer, Partho has spent more than twenty five years in the fields of integral education, leadership and personal growth and has done intensive research in the principles and practices of integral and transformative yoga. Partho is now one of the leading integral educationists in the country and is associated as mentor and consultant with many integral initiatives in India and the US. He works with schools, universities, educators, teachers and parents. Geetanjali has been working intensively in the field of integral and transformational learning since 2004. Since 2008, she has been deeply involved in working with teachers and developing integral curricula and pedagogies. She also works closely with parents and children of all age groups to facilitate integral learning and growing. At present, Geetanjali is mentoring integral and conscious processes of learning in various schools across India. Geetanjali is also working intensively towards developing effective integral pedagogies for underprivileged children. 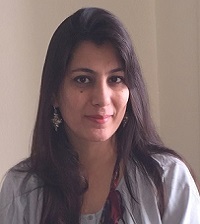 Geetanjali is a founder-member of Auroveda Gnosis, an alternative education initiative in India by the Auroveda Foundation, US, as a curriculum-planner and teacher-educator. She is presently engaged in setting up the Integral Health and Wellness Centre in Auro University as an SAILC initiative. 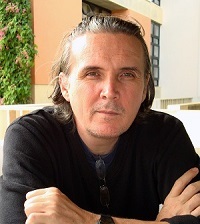 Vladimir Yatsenko is a visiting Professor of Sanskrit and Integral Studies at Auro University, facilitator of the courses: Science of Living, Foundations of Indian Culture. He is also conducting studies in the fields of Indian Philosophy, Integral Yoga Psychology, and Theoretical Linguistics, closely aligned with various educational institutions in India: IPI Pondicherry, ICIS Delhi, SACAR Pondicherry, UHU Auroville creating and facilitating the courses and studies on-line in the Vedic and Vedantic Studies, Bhagavadgita, Sanskrit Grammar. 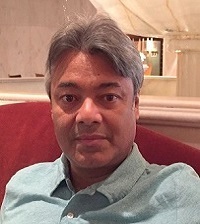 He completed MA in Oriental Languages and Literature (Sanskrit), General and Theoretical Linguistics at St. Petersburg University (1986-92), studied Sanskrit Grammar at Poona University (1991-1992) and became a life member of Bhandarkar Oriental Research Institute, where he studied Nirukta of Yaska. His PhD in Indian Philosophy was “The Concept of Agni in the Rigveda in the light of Sri Aurobindo” from M.S. University of Baroda. The world is preparing for a big change. Will you help?